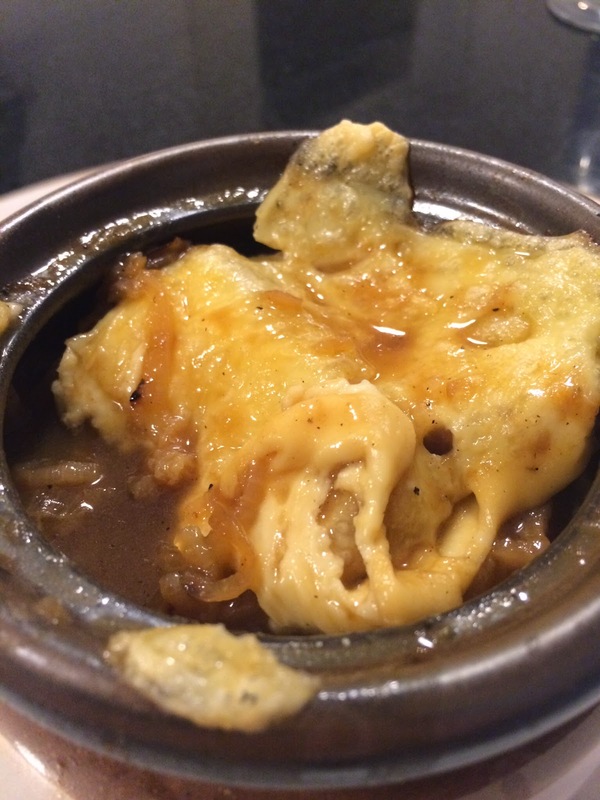 French onion soup is one of my favourite meals, but it is also the opposite of what we usually make - it's not quick, it's not healthy, and we have to cook E something different to eat (we only have two French onion soup bowls). 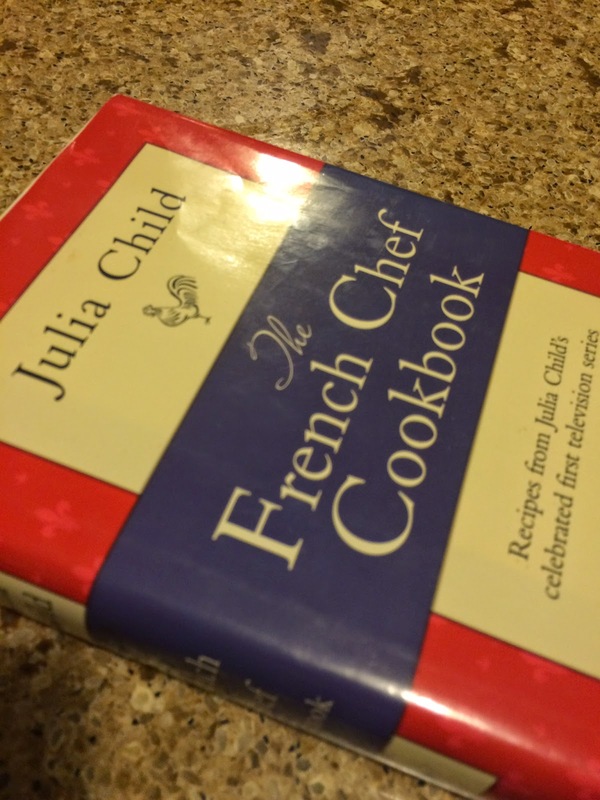 The original recipe is from Julia Child's cookbook. My grandfather gave this to me shortly after the Julie and Julia movie. I've modified the recipe slightly. 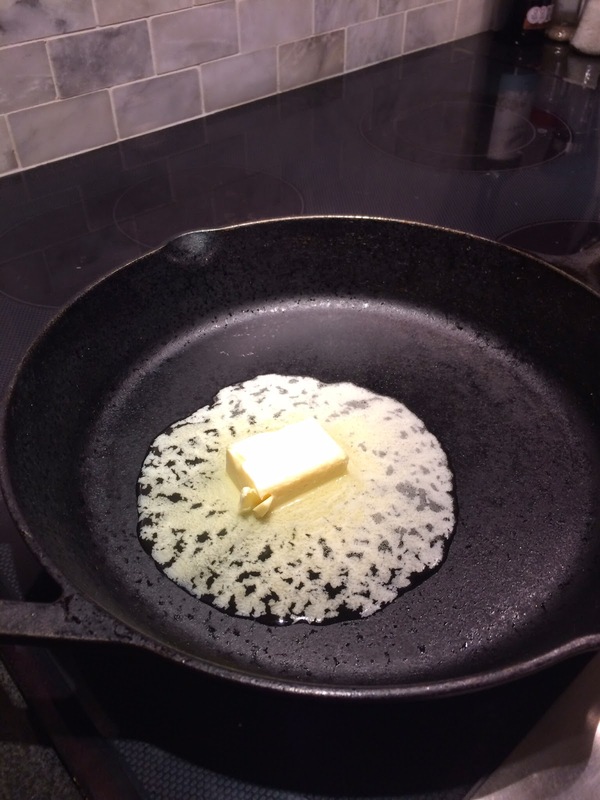 Melt butter in the pan. 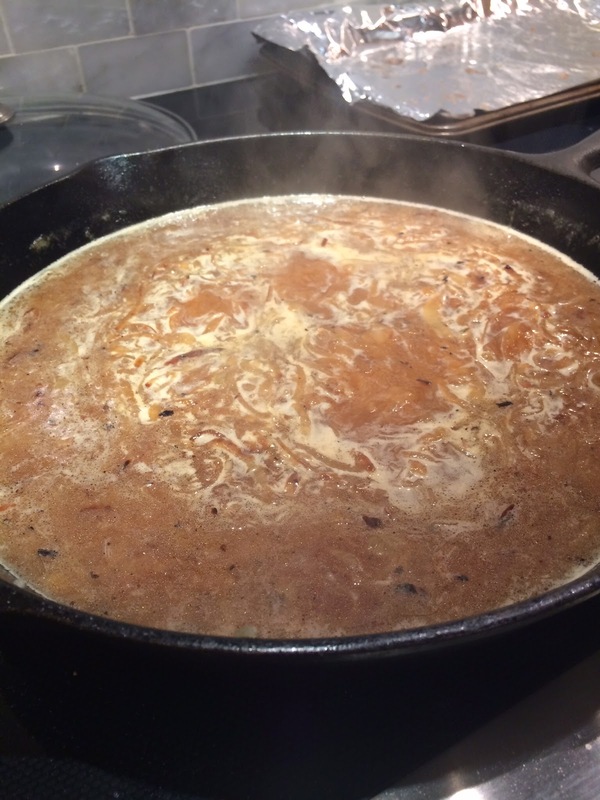 Add onions, stir to coat with butter and then cover for 15 minutes, stirring occasionally. 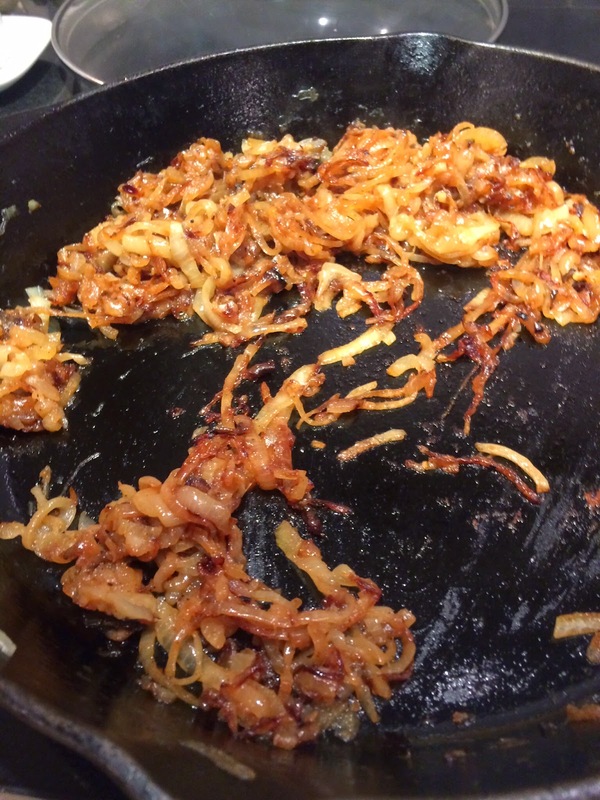 Remove the lid, sprinkle with sugar and salt (which creates the caramelization), stir to coat, and saute slowly over medium heat, stirring often. Do this for about 30 minutes. This is where you need to be patient, but it pays off. Sprinkle with flour, and whisk in your broth or consomme. Simmer on medium-high heat for about 15 minutes. In the meantime, cut the French bread into rounds, drizzle with olive oil. Place on a cookie sheet and toast in the oven at 350 degrees until they are slightly brown. You'll need 3 to 4 per bowl. Pour soup into your bowls, top with the toasted bread rounds, and two slices of cheese. Bake at 350 degrees for 15 minutes until cheese is bubbling. You may want to finish it off under the broiler for a couple of minutes. This recipe is probably enough for four servings, we had some leftovers. YUM! 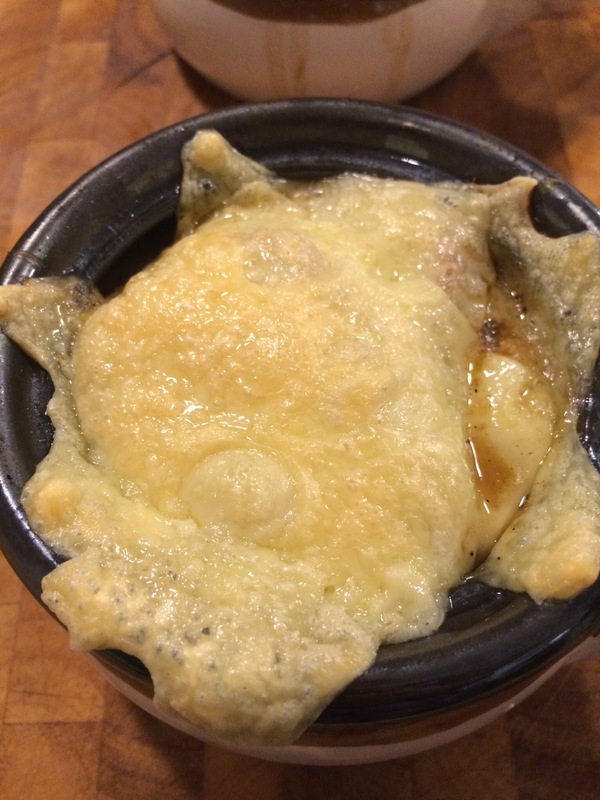 I do love French onion soup. My recipe is from Quebec and has a splash of sherry added. I wrote it in French in the early '70's while visiting a friend who was studying in Sherbrooke. 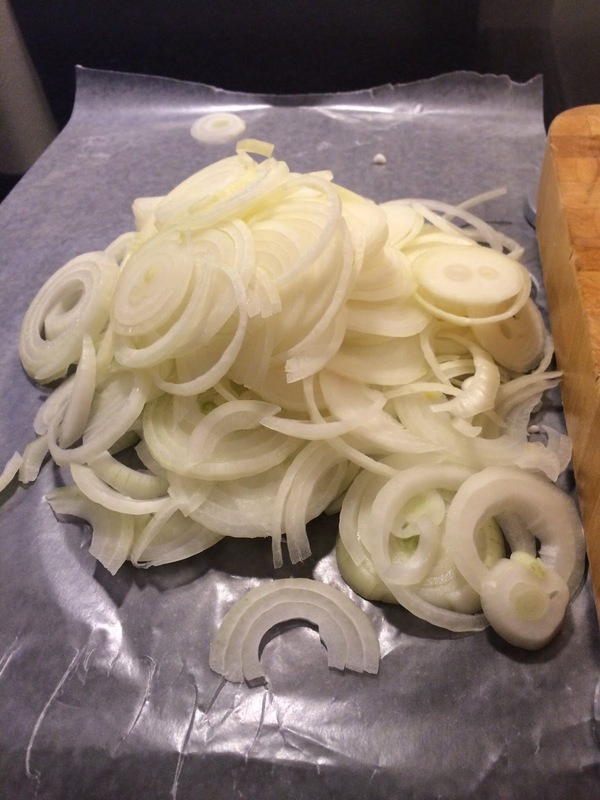 Your recipe is more informative and carmelizing the onions is key. Thanks for the recipe.